Take a look at the evoma.com home page. It’s a resource page for businesses, divided into sections – thinking of starting a business, starting a business, running a business, and growing a business. Each category requires a different set of skills and has its own set of business challenges. But what are the skills you need, as a startup founder, to go from the first section to the last one? How do you get from thinking about starting a business to a stage where you are figuring out how to grow a successful business? 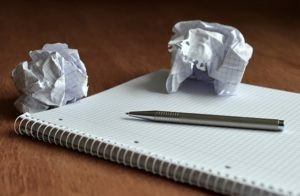 This is the topic of this post – the 10 must-have skills you need for startup success. It’s a top 10 list for sure, but more importantly, it’s a logical sequence of the skills you need. 1. Conceptualise ideas and turn them into commercially viable products. Everyone has ideas, but the hard part is converting them into a real business with a commercially viable product. By far the easiest and best way to test the viability of your idea as a business is to come up with a product demonstration and try to raise funding for it. Bankers and venture capitalists are shrewd enough to tell you if your idea and product is any good. 2. Build and test your product / service. You don’t necessarily need to have the skills to build a demonstration piece by yourself if you have an idea. You can make do with the skill to find interested collaborators on startup and entrepreneur communities such as Quirky that can help you do it. 3. Raise funding to go to market. We have a huge collection of posts on the skills you need to have to raise startup funding. 4. 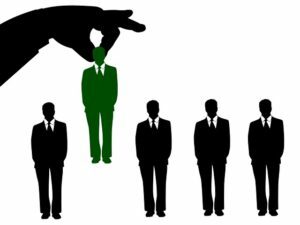 Hiring skills to bring the skills you don’t have to your startup. Startup founders are expected to do everything from opening the office to product demonstration, sales and accounting. But if you don’t have certain skills that are required or the time to do it all by yourself, you need to have the hiring skills to find people who can do it for you. This may be a partner or partners. You can also hire employees if you have raised enough funding to cover their wages. 5. Inspire your employees to walk on coals for you. A startup that has enough cash is, by definition, not a startup anymore. You have to burn cash and do it all a lot faster than your established competitors to grow. There are never enough employees to handle all aspects of a newly launched startup, so you need to inspire your employees to work all hours of the day and night to get things done. If you can’t do this, and your employees are clocking in and out on time, then your startup has a less than stelllar chance of growing into a success. 6. Selling skills to get your first customers. As a new startup, the only sales team you have is you. You have to learn to sell your own product and find customers willing to pay for it. Once you have that first set of customers, it becomes easier to build on that, and you can even start hiring salespeople. 7. Networking skills to meet clients and business partners. Startup founders, especially in metros like Bangalore, Mumbai and Chennai, have to rely on their networking skills at events and conferences in order to connect with large new clients and business partners. If you don’t attend these events on a weekly basis, you risk being left out of the startup ecosystem that works so well to help startups grow faster than in smaller cities. 8. 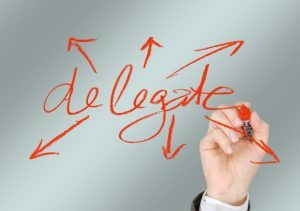 Delegating skills to get work done on time. Your startup is your entire life, and you are expected to work every waking hour. But even that’s not enough if you try to do it all by yourself. Get partners, hire talent, and learn to delegate in order to get the work done on time. 9. Scale your startup to reach new markets. Once you have built a sustainable business that is generating a steady stream of revenue, the next step is to scale your startup to reach other markets. This may be another branch in your own city, or expansion to other cities. If you are an Internet or tech startup with a virtual product, it’s time to start scaling your marketing and sales team. 10. Skill to start all over again if you fail. The 9 skills mentioned above are surely necessary for growing a startup from an idea to a success story. But the one last thing you need, above all else, is the ability to get up and start all over again – if you fail. The most successful startup founders are usually serial entrepreneurs, who have tried many times before. Sometimes they fail, but they start learning how to win. That’s the most essential skill you need to have for startup success.